This video and all others are available to watch when becoming a member of Woodworking Essentials. You can even bundle a Woodsmith magazine subscription for a great price! The unique curved handles and cracker trays are key features of the serving tray. What's surprising is that these details are cut at the table saw. Don shares the tips and tricks for this great technique. A great project gets even better with age. Craftsman Dana Myers shows how you can get the jump on a well-worn look with this technique. Some paint, some glaze, and a few well-placed dents and dings are all you need. 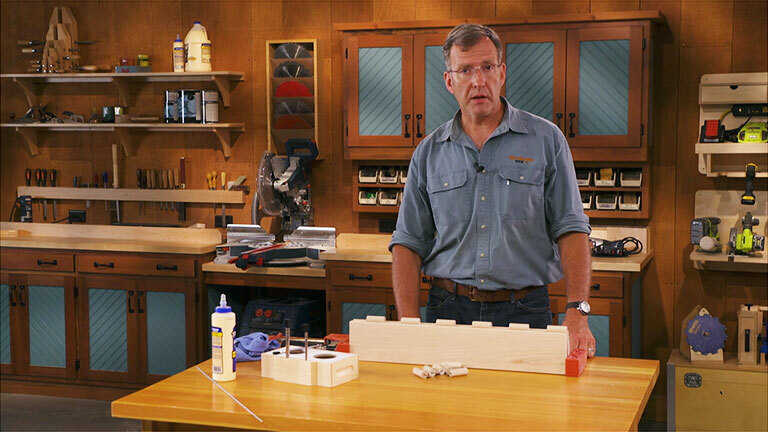 You can make a wood hinge of any length with this easy-to-follow approach. 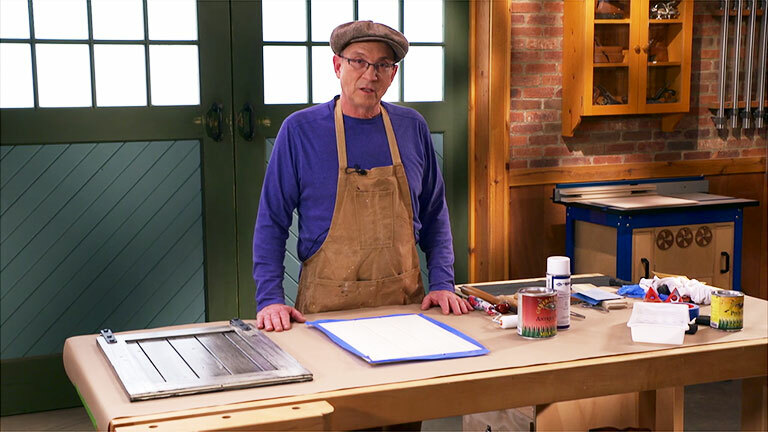 Chris Fitch shows how to get the jog done at the table saw and router table. The result adds visual impact and a sturdy connection to your projects. 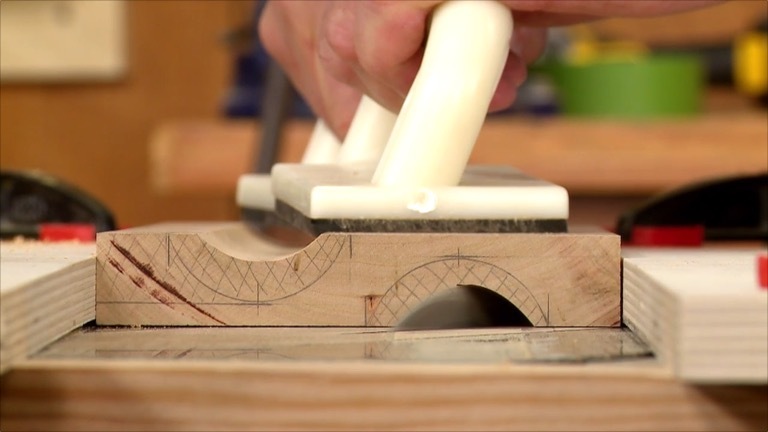 Wax makes assembling a project with woodscrews much easier. However, a dry cake of wax doesn't stick well to the threads. 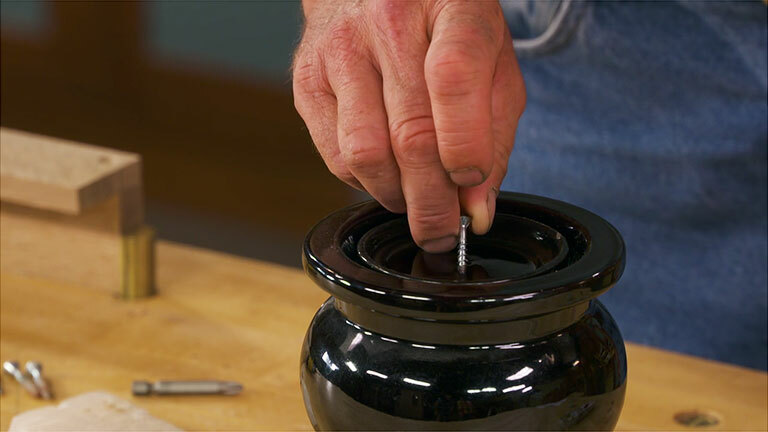 Find out how to coat the threads and help your workshop smell better all at the same time.